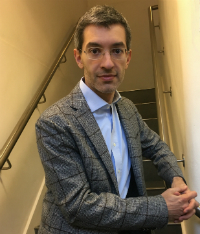 Andrea Tamoni is Assistant Professor of Finance at the London School of Economics and Political Science. His research interests are in the areas of Financial Economics, Empirical Asset Pricing, and Financial Econometrics. His current research is on the Dynamics of Stock and Bond Returns and their relation to Economic Uncertainty, the interaction between Monetary and Fiscal policy and the Term Structure of Interest Rates, and the relation between Stock Prices and the Business Cycle.